Several years ago Northern Indiana Axle Company needed to find a solution to increase their production. Owner, Ken Mullet started his business over 30 years ago in his rural farming community of Nappanee, IN. Their staple business is machining horse drawn carriage parts, ball hitches, stainless steel fencing, cable parts, hinge caps for aluminum trailers and general machining. In order to meet the demands of their surrounding community they purchased their first Automatic Pallet Changer for their Vertical Machining Center in 2004 and doubled their production. Once a pallet or load of parts is complete, the next pallet or job is transferred into the machine in seconds. Because all part loading and job set-up tasks are performed offline (without the operator leaning into the machine) both productivity and safety is maximized. MIDACO Automatic Pallet Systems are easily installed on the right side or the left side (or both sides for machines that don't move in Y-axis) of a new or existing machine center. With his business growing in his community and expanding into the second generation with his son, Ken decided to purchase a second Automatic Pallet Changer in 2011 and plans to purchase a third in the near future. 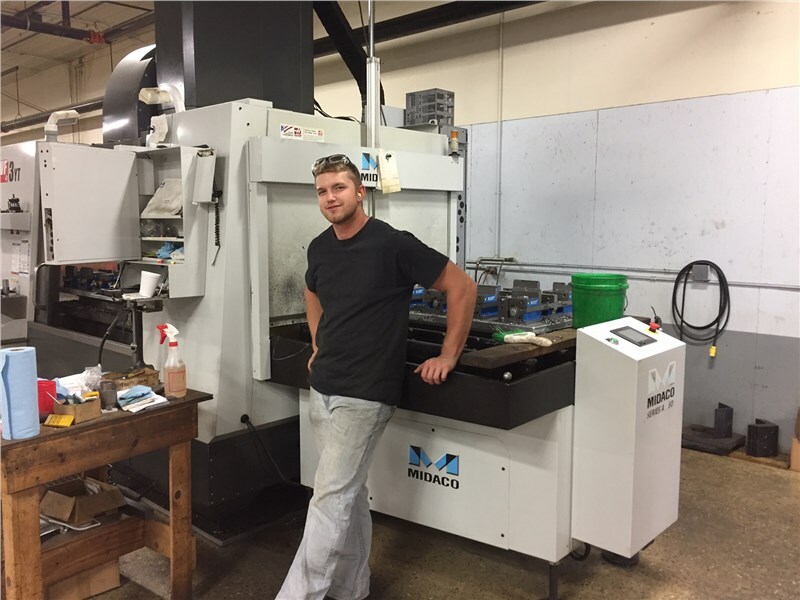 The Mullet family of Northern Indiana Axle Company has experienced the value that MIDACO Pallet Changers have brought to their manufacturing business. Thanks to Ken and Marcus Mullet for sharing their success story with MIDACO's AS5020SD and A4020SD Automatic Pallet Changers.